Now that Tattoo Design no longer carry the stigma of being something that only rebels and outcasts got, it is perfectly acceptable for women to get it too. Getting a tattoo has become somewhat of a statement of your inner feelings and things that you believe in. But having said, that there is no way that a woman should rush to get herself inked. You need to think, research and ponder certain factors before they go ahead with this. This article will take you through some of the points you need to consider and also the type of tattoo motifs that are considered acceptable for women. The next factor that you should give serious consideration is the size of the tattoo. The normal inclination of most women is to go for a tattoo design that is smaller in size. This makes it look more in scale and more importantly easier to conceal when required. This has become important as many professional setups frown upon tattoos and this puts the woman in question in a delicate position. 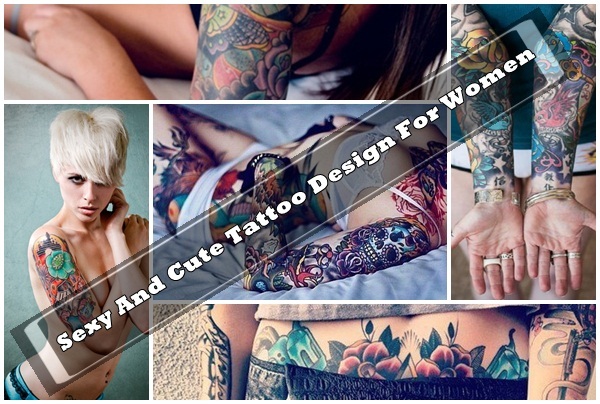 Now that we have considered these factors that lead up to the actual process of getting a Tattoo Design For women, now it is time to get down to the actual design that you can go with. While this may seem odd, there are some designs that are more suited to women in the sense that they have a more feminine theme and also tend to be smaller in size. One of the most popular themes that is preferred by women in the Cherry Blossom. This is really feminine and beautiful Tattoo Design For women which adds to the appeal along with the symbolic significance. Another thing that makes this design such a big hit is that you can vary the shades in which you get it in such a way so that it works with tone and color of your skin. Another popular design that you need to consider is the general floral motif. Each flower has its own significance and meaning and it could differ from one culture to another. In Japan the chrysanthemum signifies death while in other cultures it could mean distinction or brilliance. One of the most widely accepted floral designs is that of the rose or the lotus as they have a lot of positive meanings including purity and love. What is more both of them are also aesthetically appealing. Another design that appeals to women on the whole is that of the butterfly. Earlier on the butterfly tattoo was viewed as having raunchy connotations and was loosely named the “Tramp Stamp”. This however is no longer the case in current times.